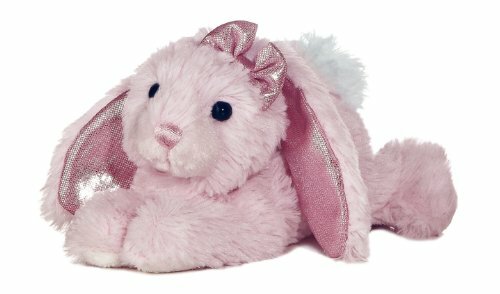 Powder Puff Bunny is extremely cuddly and soft with long pink floppy ears. Very lovable. Powder Puff also has a shiny pink bow that matches her ears. 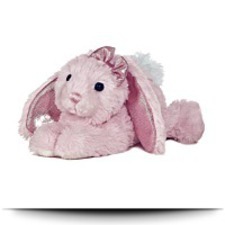 Ages 3+ Surface washable She comes inside a bigger size also.